NJB Article and Source Repository: The Jacksonian Revolt: American Populism and the Liberal Order. By Walter Russell Mead. The Jacksonian Revolt: American Populism and the Liberal Order. By Walter Russell Mead. 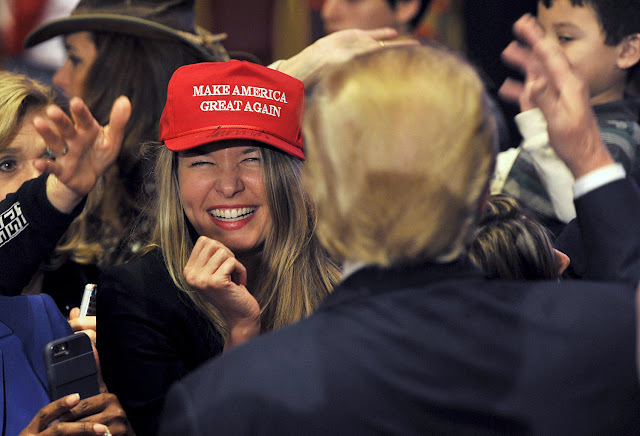 A woman smiles after getting an autograph by Donald Trump on her hat at a campaign rally in Las Vegas, January 21, 2016. REUTERS/David Becker. The Jacksonian Revolt: American Populism and the Liberal Order. By Walter Russell Mead. Foreign Affairs, January 20, 2017. There are many reasons for this, rooted in a complex process of intellectual reflection over U.S. history, but the reasons don’t necessarily make intuitive sense to unemployed former factory workers and their families. The growing resistance among many white voters to what they call “political correctness” and a growing willingness to articulate their own sense of group identity can sometimes reflect racism, but they need not always do so. People constantly told that they are racist for thinking in positive terms about what they see as their identity, however, may decide that racist is what they are, and that they might as well make the best of it. The rise of the so-called alt-right is at least partly rooted in this dynamic.